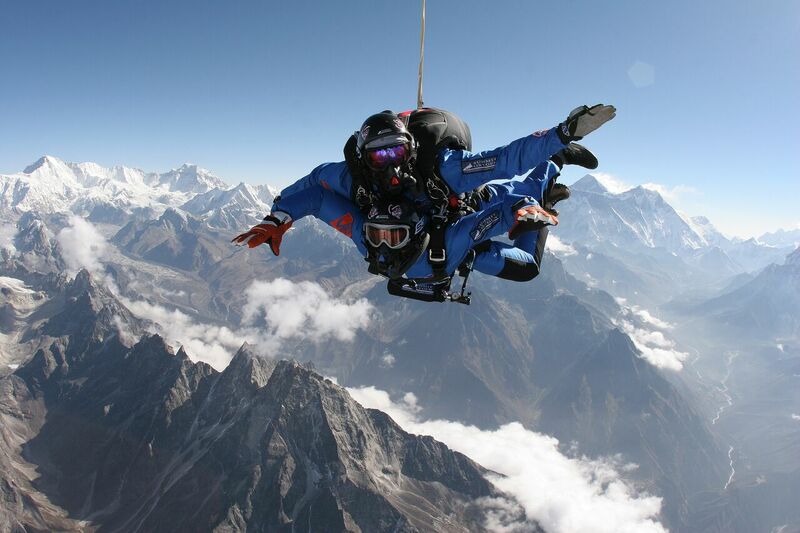 The dates for this year’s Everest Skydive Adventure are November 2-12. The adventure begins and ends in Kathmandu, Nepal. The cost for both solo and tandem jumpers is $25,000 USD and includes skydive, jump services, lodging, trekking and meals. Non-jumping guests pay $5000. Participants can add a trek to Everest Base Camp at the conclusion of their program for an additional $3000. Call 1-800-644-7382 or 1-941-346-2603 to learn more.